What is that thing that makes you feel like time doesn’t exist? What exactly motivates you? ?Nowadays, education, external influences, trends or obligations are distracting you from acting in a way that is really you and blur your own values. So we did this t-shirts in order to deliver a message – There is something inside you that you really love and it should be discovered, explored and maximised. We wanted to inspire, wake everybody up and help people to find the trigger that could change the course of their life. This is the first design I made, that’s why is very chaotic and has a vibrating way of using the colours. Colours are mixed in order to send our message: we just arrived and we want to keep your attention! 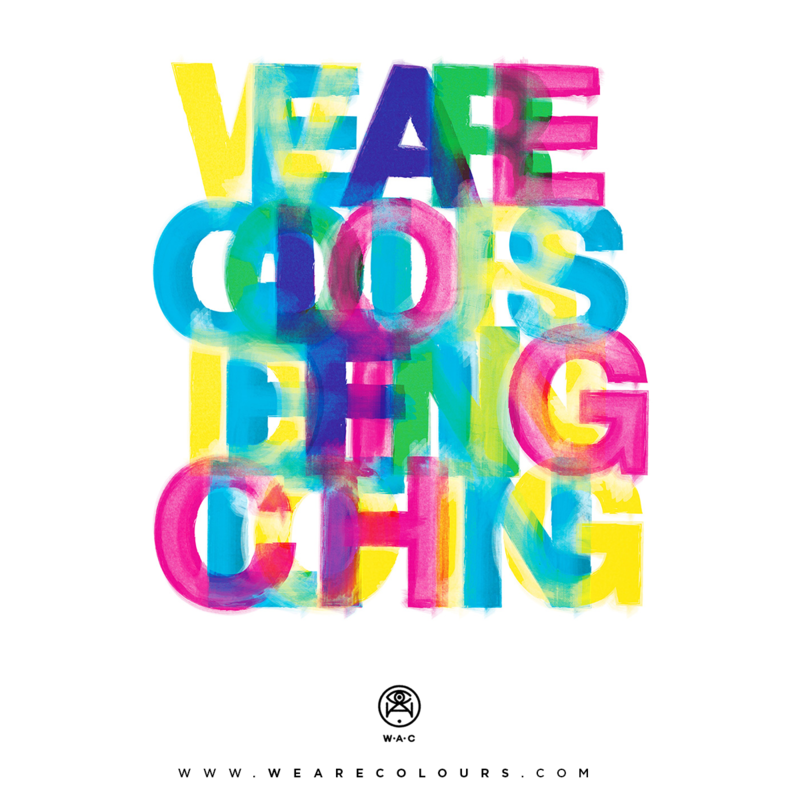 If you focus on it, you will read “We are colours, defining clothing”. This is exactly what we want you to do…. It is time to focus. Take a moment and find yourself. Reveal yourself to the world. We are nature, we are connected, we all have a green part, which makes us part of “the forest”. Find your seed, it is right there inside your mind; hidden behind your emotions ,find it! Once you have it, put some water everyday, it will grow and grow till become as strong as a tree. 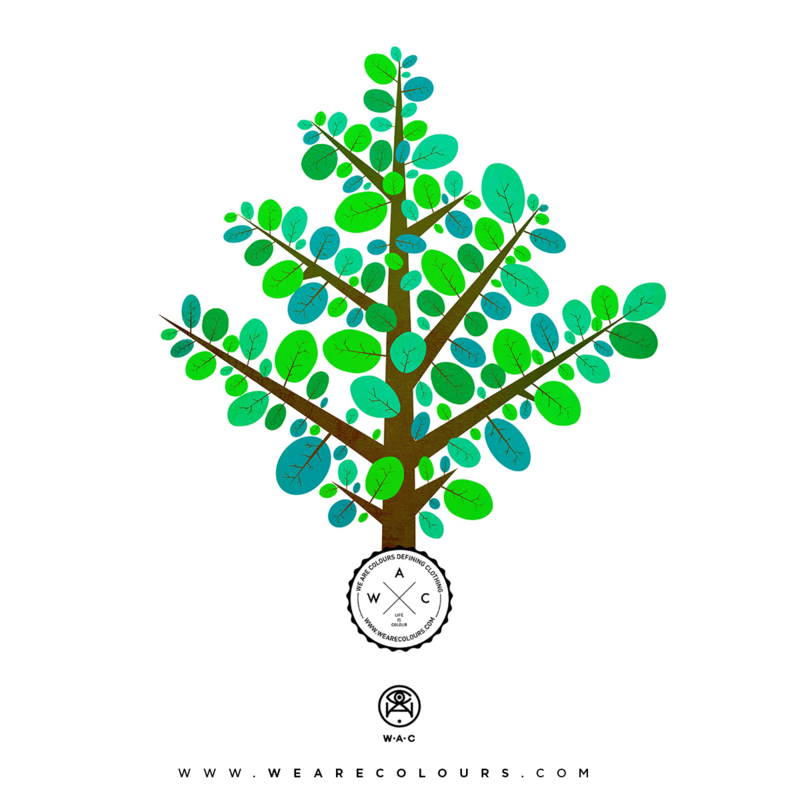 This is what this tree represents, make grow your talent and become huge! As you can see on tattoos, this skull has a lot to tell about his life. Life is not forever: do you want to die empty or full of experiences? 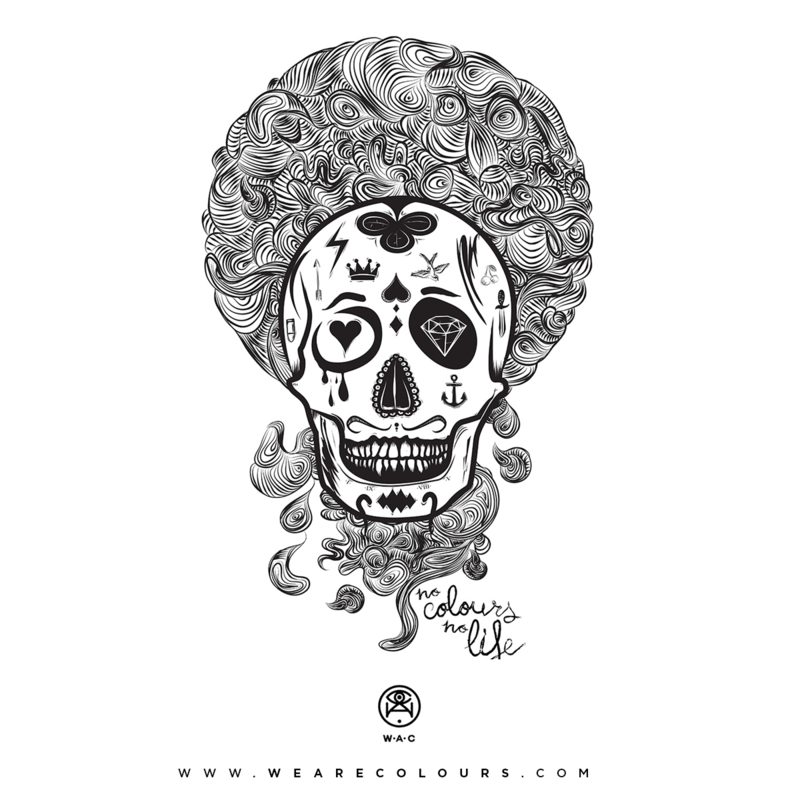 We believe that if you don’t bring colours to your life, you are not alive. Life is not complete without colours, Life is Colours!